Napoléon Gourgaud du Taillis was born in Paris on 27 Feburary, 1922, and he was to leave his inimitable stamp upon the Napoleonic world. Descended directly on the one hand from General Baron Gourgaud, the emperor's First Officier d'ordonnance (a specially created title) and companion in the emperor's exile on St Helena, and from General Comte du Taillis on the other, comte d'Empire and notable military figure of the First Empire, Napoléon Gourgaud du Taillis was a Napoleonist right from the very start, a man of great culture, intellectual curiosity and esprit. After spending many years in the offices of the Souvenir Napoléonien, at the request of the Prince Napoléon, he was elected president of that institution from 1983 to 1997. And it was during his mandate that this association experienced the expansion which makes it today the world's premier Napoleonic entity, with circa 3,500 members. Following on from Doctor Godlewski, who died suddenly, it fell to the Baron Gourgaud to manage the dossier which ensued from the remarkable bequest given by Martial Lapeyre to the Napoleonic world. Negotiations held with French government administrators led to the creation, in November 1987, of the Fondation Napoléon. 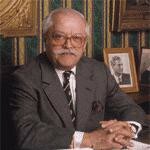 The Baron Gourgaud was its first president, from 1987 to 2005, the date when he felt it right to step aside. At that date, the Board of Trustees voted that he should be succeeded by a younger man, namely Victor-André Masséna, Prince d'Essling, and that the Baron Gourgaud should become honorary president of the institution. Over his twenty years in office, the Baron Gourgaud brought the Fondation Napoléon not only a higher profile but also respect, both in France and abroad, turning its activities towards the development of Napoleonic history, in all shapes and sizes and for all audiences, and towards the preservation of Napoleonic heritage. Of the hundreds of initiatives taken during the Baron's period of office, we would highlight the following: the creation of important web sites (from 1995-), the opening of a public library, the organisation of several high level conferences, funding the publication of several important professional and general public books, funding of the restoration of many Napoleonic monuments, notably the Arc de Triomphe and the French domains on St Helena, sponsorship of Napoleonic exhibitions, etc. In 2001, the president of the Fondation Napoléon launched the grand project for the publication of the complete correspondence of Napoleon, an editorial epic comprising 40,000 letters collected throughout the world, one hundred and thirty people on the project, and fourteen volumes planned to be published by Fayard. Furthermore, since 2003, the Fondation Napoléon's collection, the kernel of which was formed by the Lapeyre bequest, has been exhibited worldwide: Sao Paulo, Paris, Minden, Wesel, Rome, Monterrey, Elba, etc..
At the same time, even though in 1997 he was no longer president, the Baron Gourgaud continued to support the activities of the Souvenir Napoléonien, within the framework of the Lapeyre bequest, completely financing the Revue du Souvenir napoléonien, and outside that framework, granting that association large sums to aid with general running costs. The Baron Gourgaud was not only a militant Bonapartist pre-war but also a companion of the Prince Napoléon in the French resistance during the Second World War. Refusing to submit to the STO (Obligatory Work Service) he went into hiding. Signing up as a volunteer for the duration of the war in March 1945, he was detailed to the Deuxième Bataillon de Choc. He was demobilised in February 1946. He also had a long and fruitful professional life. After an arts baccalauréat at high school (finished at La Rochelle – on the west coast far from Paris – since the Parisian high schools had been evacuated there) and after having been forced to abandon his university studies in law (1943), he worked for a while in the Société française industrielle des pétroles and then, after the war, he was for many years manager in the Singer company (industrial client relations), before becoming an estates manager and director of companies. The Baron Gourgaud was promoted from Chevalier of the Légion d'Honneur to Officier of the Order in 2008.